Cosmetic dentistry at Zeik Dental offers patients more options for smile improvement than ever before. With the latest technology and years of experience, Dr. Nicholas G. Zeik is creating incredible smiles, one patient at a time. With cosmetic dentistry, you can change almost anything about your teeth. We offer brilliant tooth whitening, bonding, porcelain veneers, clear braces, dental implants, tooth-colored fillings, and many other ways to beautify your smile and improve your dental health. Choose one or multiple treatments to give you a subtle or dramatic change. We’ve perfected the art of tooth improvement, and we’ll help you design a custom smile that fits. Stains, chips, cracks, or crooked teeth can make a smile look less attractive. Fortunately, tooth bonding can quickly and painlessly restore your smile’s beauty. During the procedure, a thin plastic or resin coating is applied to the damaged teeth, making them stronger and virtually indistinguishable from the rest of your teeth. Veneers can restore or significantly enhance your beautiful smile by improving the color, shape and spacing of your teeth in a painless manner. Also known as laminates, veneers involve the bonding of a thin covering, usually made of porcelain and custom fitted to your teeth. 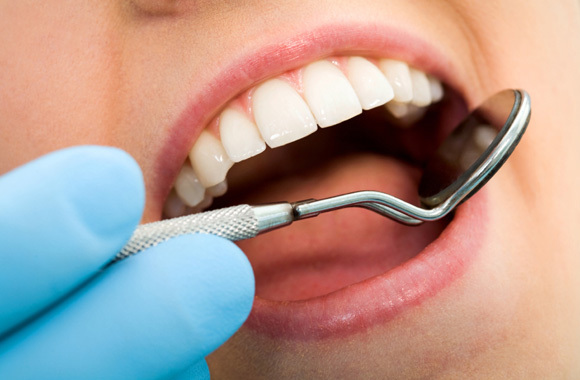 In addition, veneers can strengthen your natural teeth and preserve their natural structure. If your teeth are beginning to look worn with age, veneers can restore their youthful appearance and protect them from further damage. A crown, often referred to as a cap, is used to cover and restore a damaged tooth. Crowns can be made of a range of materials but most often made of strong, life-like porcelain materials. A crown may dramatically improve a tooth’s appearance, shape, and alignment. Crowns may be used to replace a large filling when there is little tooth structure remaining, restore a fractured tooth, protect a weak tooth from fracturing, or cover a tooth that has had root canal treatment. A bridge may be used to replace missing teeth, help maintain the shape of your face, and alleviate stress on your bite. Bridges fill in tooth gaps with durable artificial teeth that look natural and are attached to the adjacent teeth on either side for support creating a “bridge”. The success of any bridge depends on its foundation- the other teeth, gums or bone to which it is attached. Therefore, it is very important to keep your existing teeth, gums and jaw healthy and strong. Composite fillings (also known as “tooth-colored fillings”) are cured with a special light then shaped and polished to match your other healthy teeth. The resulting restoration feels natural in your mouth and is virtually undetectable to the eye. Composite fillings are strong and durable, and because they can be bonded directly to the surface of your teeth, they often leave behind more healthy tooth structure than silver fillings.